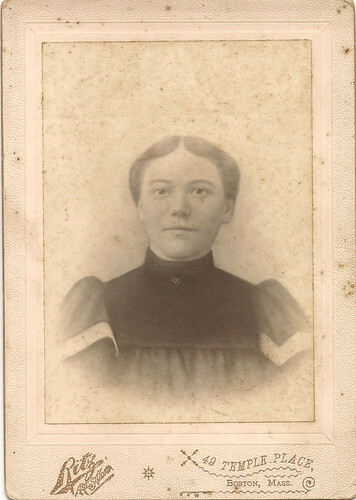 Mystery Monday: Part Two: The Unidentified Friends and Family of Maria Jane (Peeples) Publicover of Gloucester and Beverly, Essex, Mass. 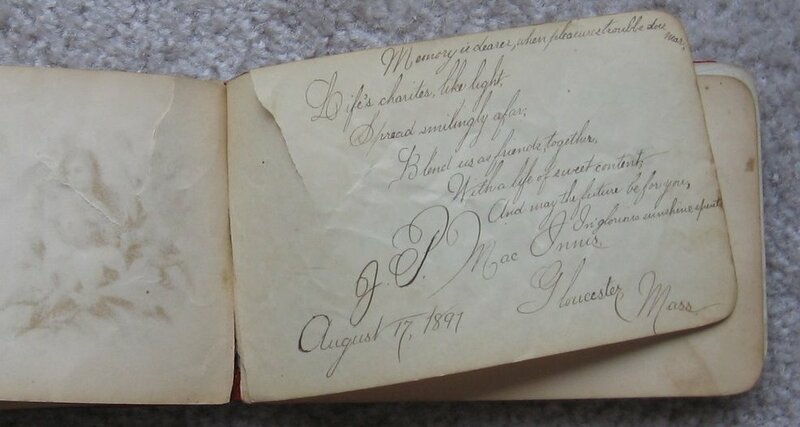 Two weeks ago I wrote about the lovely autograph book of Maria Jane Peeples of Gloucester, Mass. from the 1890s. 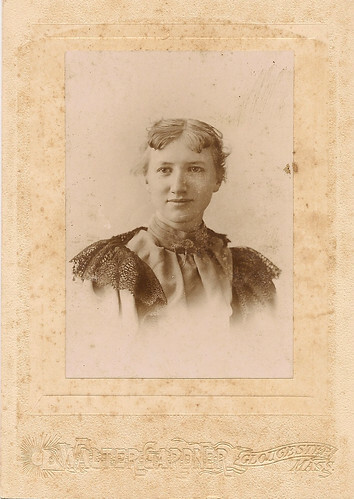 Last week I discussed the wonderful but unlabeled photograph collection of Maria Jane Peeples and included the first part of her collection, including unidentified family and friends from Massachusetts, Connecticut, New York, and beyond. 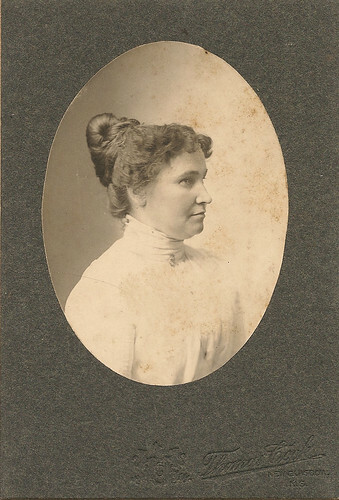 Today’s entry will focus on her photographs of unidentified family or friends from Gloucester, Mass., where Maria lived for several years after moving from Nova Scotia. All of her siblings resided either briefly or permanently in Gloucester. 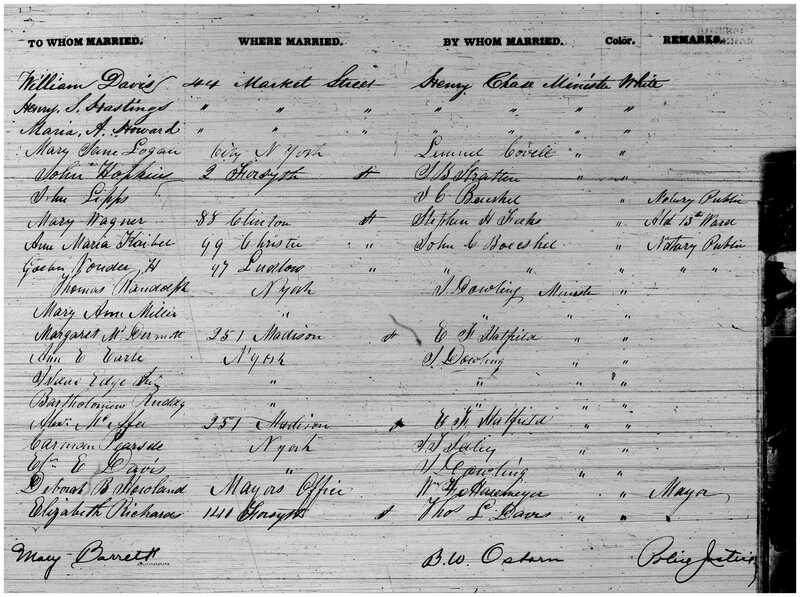 Below is a brief genealogical sketch of her parents and siblings, taken from Canadian and U.S. Census records and Massachusetts vital records. Thomas David Peeples was born at Nova Scotia, abt. 1828, son of James Peeples and Mary Crittenden. He died at prob. Melford, Guysborough County, Nova Scotia, 1891-1893. He married at prob. Guysborough County, Nova Scotia, by 1854, Jeanette Rogers. She was born at Nova Scotia, February 1835, daughter of William Rogers and Janet (McNair) Murray. She died at Gloucester, Essex, Mass., aft. 1910. 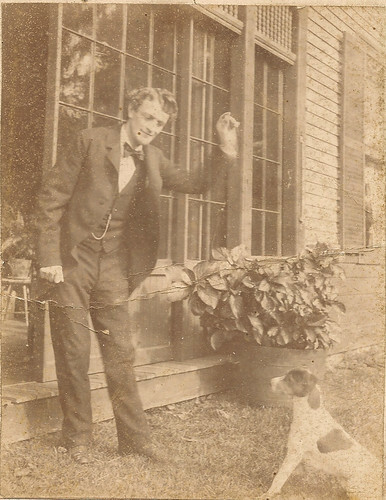 Thomas D. Peeples was a head of household at Guysborough County, Nova Scotia in the 1861, 1871, 1881, 1891 Censuses of Canada. 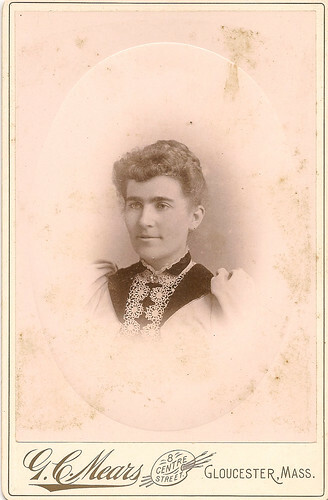 i. Martha Ann Peeples, b. at Pirate Harbor, Guysborough County, Nova Scotia, March 1855; d. at Gloucester, Essex, Mass., 4 December 1906; m. at Gloucester, Essex, Mass., 25 February 1882, Charles W. McClellan. ii. 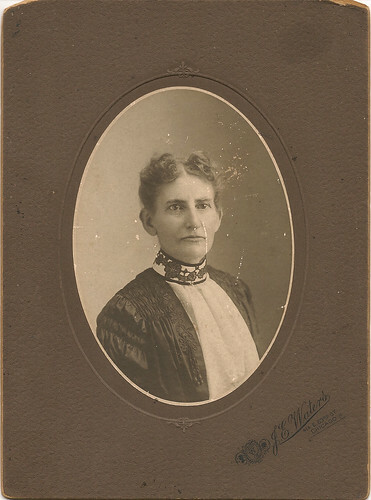 Gertrude Ernestine Peeples, b. at Melford, Guysborough County, Nova Scotia, November 1857; d. at prob. Gloucester, Essex, Mass., aft. 1910; m. at Gloucester, Essex, Mass., 23 August 1877, Ernest Robinson. iii. 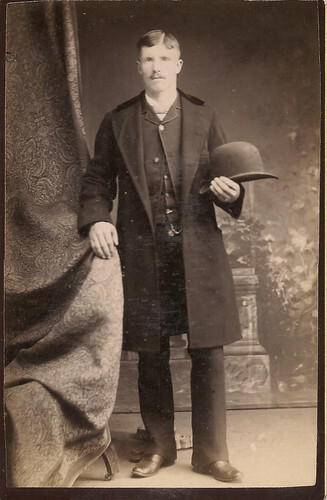 James David Peeples, b. at Melford, Guysborough County, Nova Scotia, September 1861; d. at prob. Hartford, Conn., aft. 1900; m. at Gloucester, Essex, Mass., 28 October 1885, Mary McCormack. iv. 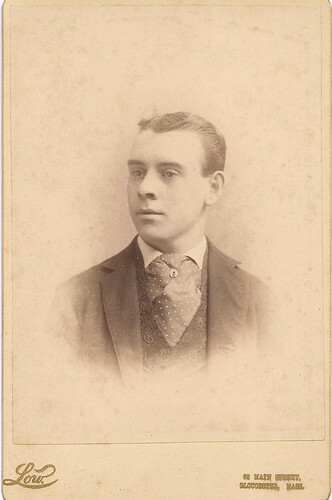 Thomas William Peeples, b. at Melford, Guysborough County, Nova Scotia, November 1863; d. at Danvers, Essex, Mass., 26 January 1902; m. at Gloucester, Essex, Mass., 14 February 1896, Edith Laurie. 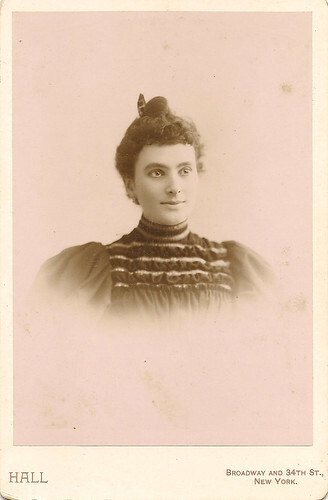 v. Drusilla Peeples, b. at Melford, Guysborough County, 24 September 1864; d. at Seattle, King, Washington, 28 November 1925; m. at Gloucester, Essex, Mass., 8 February 1893, Henry Calder. vi. 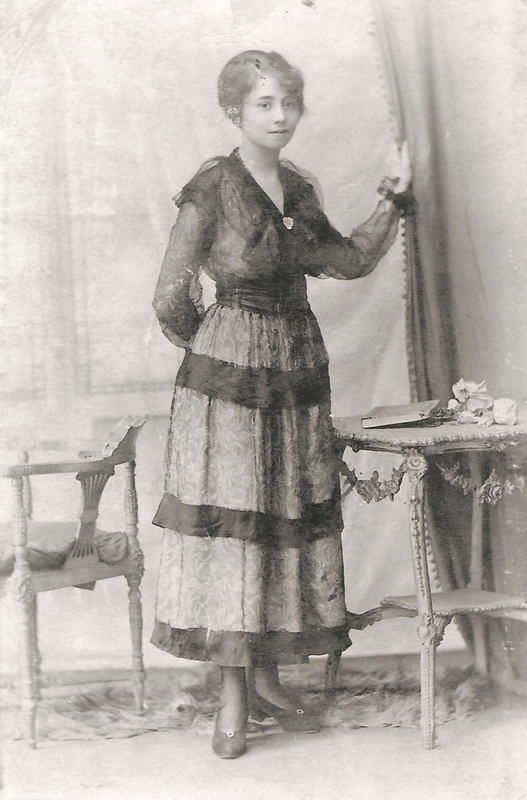 Maria Jane Peeples, b. at Melford, Guysborough County, Nova Scotia, September 1867; d. at Beverly, Essex, Mass., 6 January 1919; m. at Gloucester, Essex, Mass., 24 January 1894, Willard Binnie Publicover. 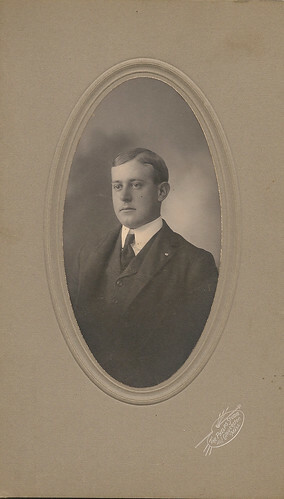 Willard was b. at Nova Scotia, 12 May 1867, son of Daniel Publicover and Elizabeth Firth; d. at Beverly, Essex, Mass., 12 April 1940.
vii. 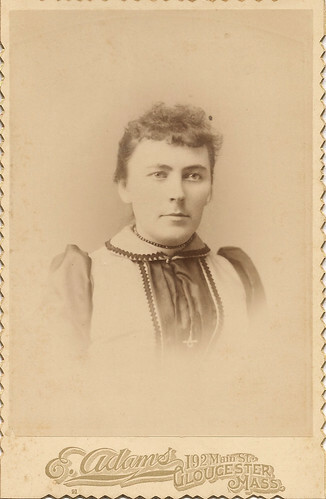 Susan Amelia Peeples, b. at Melford, Guysborough County, Nova Scotia, December 1870; d. at Gloucester, Essex, Mass., 4 April 1903. Perhaps descendants of Maria’s many friends, local historians, or historic photo buffs might be able to recognize the individuals in these images – and maybe give a face to the signatures from her autograph book! 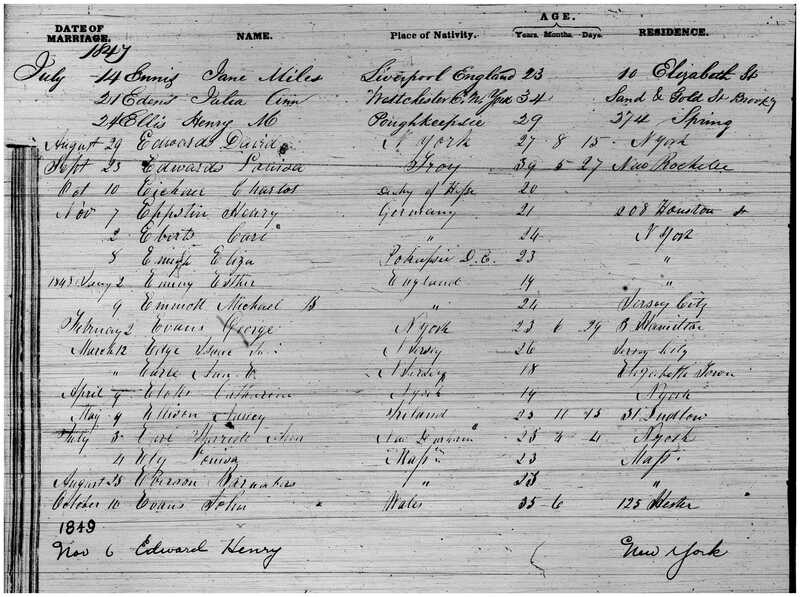 Included are transcriptions of the photographer’s labels. [For additional details and the scanned backs of several of the portraits, see the collection on Flickr]. USA – Massachusetts – Gloucester, Mass. 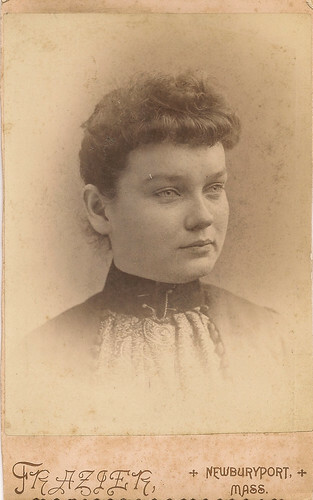 Unidentified Woman, Gloucester, Mass. Photographer’s Label: E. Adams, 192 Main St., Gloucester, Mass. 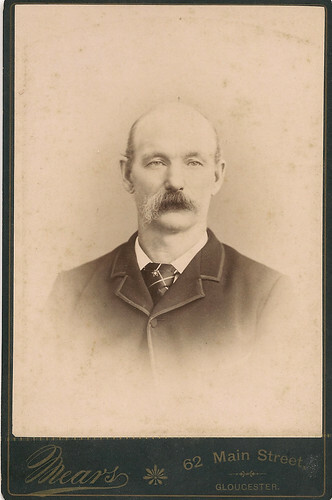 Unidentified Man, Gloucester, Mass. Photographer’s Label: E. Adams, 192 Main St., Gloucester, Mass. 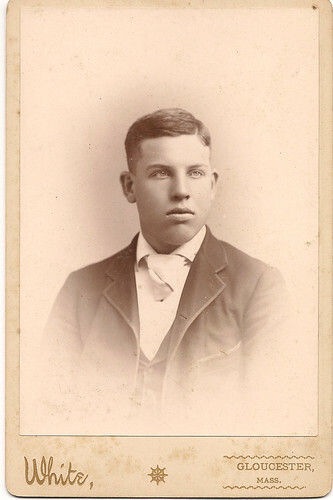 Unidentified Man, Gloucester, Mass. Photographer’s Label: Elite Studio, 192 Main St., Gloucester, Mass. 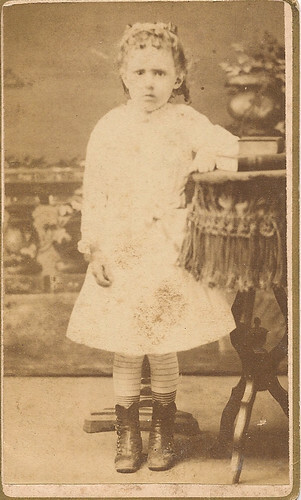 Unidentified Child, Gloucester, Mass. Photographer’s Label: Burnham, Elite Studio, Gloucester, Mass. 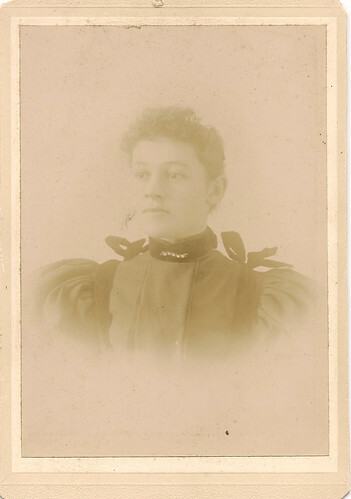 Unidentified Woman, Gloucester, Mass. 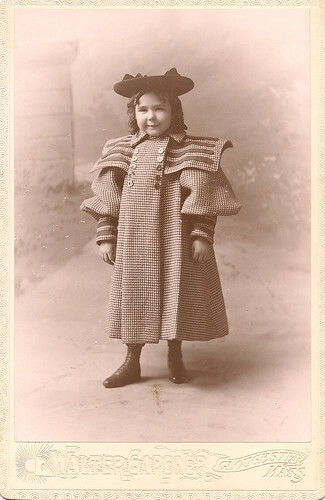 Photographer’s Label: Emery’s Boston [Studio?] 162 Main St., Gloucester, Mass. 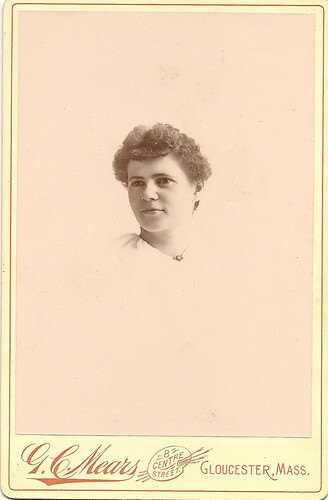 Unidentified Woman, Gloucester, Mass. Photographer’s Label: Walter Gardner, Gloucester, Mass. 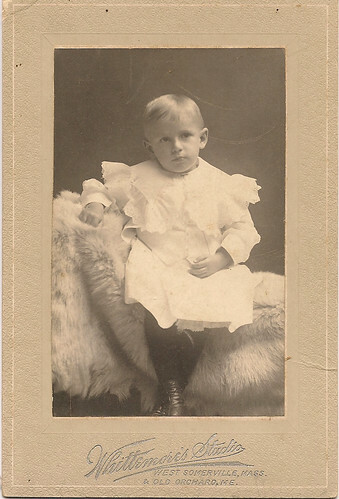 Unidentified Child, Gloucester, Mass. Photographer’s Label: Walter Gardner, Gloucester, Mass. 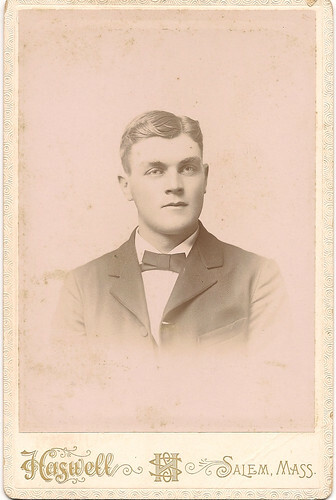 Unidentified Man, Gloucester, Mass. Photographer’s Label: Low, 68 [or 62?] Main St., Gloucester, Mass. 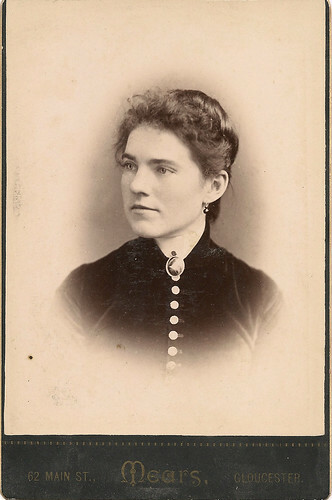 Unidentified Woman, Gloucester, Mass. Photographer’s Label: G. C. Mears, 8 Centre Street, Gloucester, Mass. 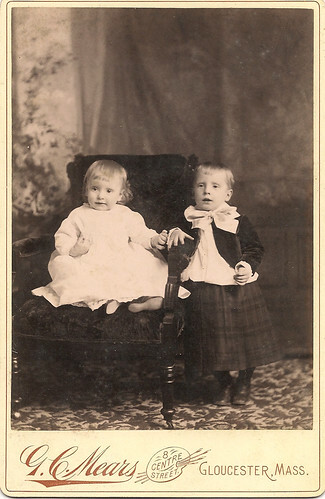 Unidentified Children, Gloucester, Mass., 1889, Photographer’s Label: G. C. Mears, 8 Centre Street, Gloucester, Mass. 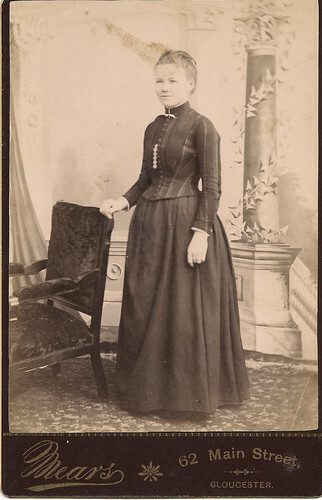 Unidentified Woman, Gloucester, Mass., 1889. Photographer’s Label: G. C. Mears, 8 Centre Street, Gloucester, Mass. 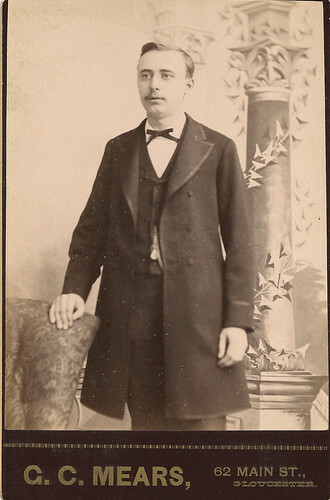 Unidentified Man, Gloucester, Mass. Photographer’s Label: G. C. Mears, 62 Main Street, Gloucester. 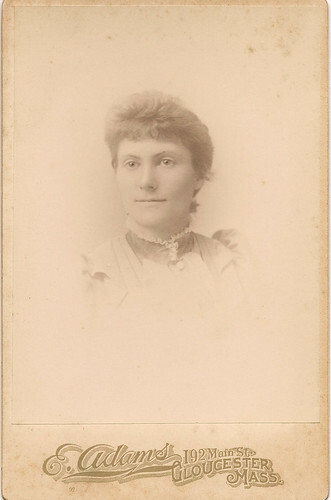 Unidentified Woman, Gloucester, Mass. Photographer’s Label: The Phelps Studio, Gloucester, Mass. 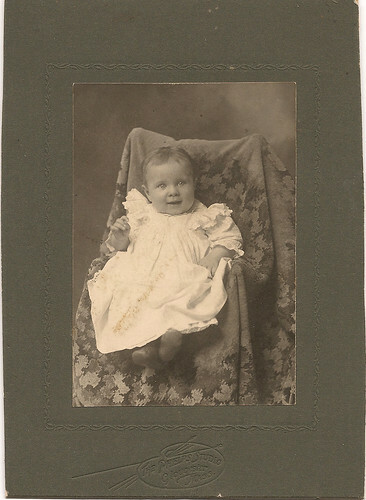 Unidentified Baby, Gloucester, Mass. Photographer’s Label: The Phelps Studio, Gloucester, Mass. 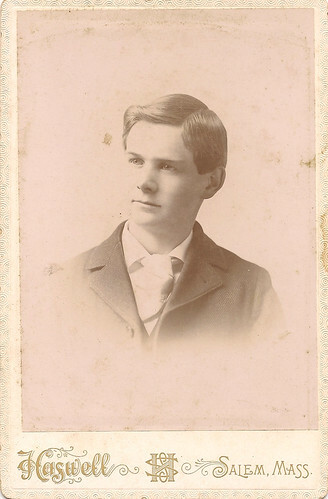 Unidentified Man, Gloucester, Mass. Photographer’s Label: The Phelps Studio, Gloucester, Mass. 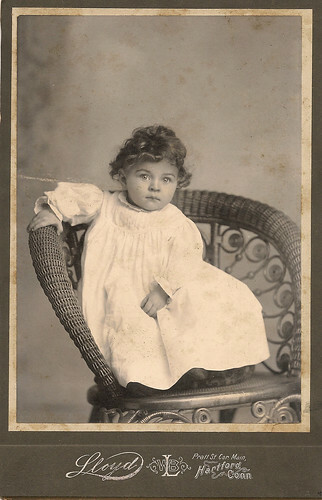 Unidentified Child, Gloucester, Mass. 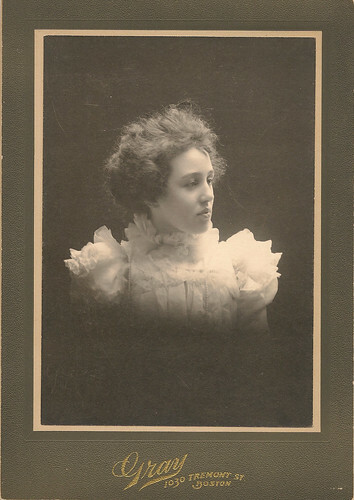 Photographer’s Label: Silver’s Portrait Studio, 62 Main St., Gloucester, Mass. 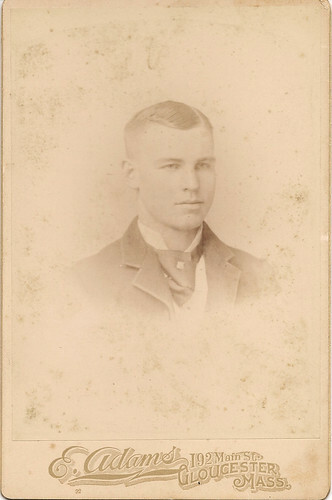 Unidentified Man, Gloucester, Mass. Photographer’s Label: White, Gloucester, Mass. Mystery Monday: Part One: The Unidentified Friends and Family of Maria Jane (Peeples) Publicover of Gloucester and Beverly, Essex, Mass. This week Of Graveyards and Things was included in the blogroll from Geneabloggers. Welcome aboard, new readers! 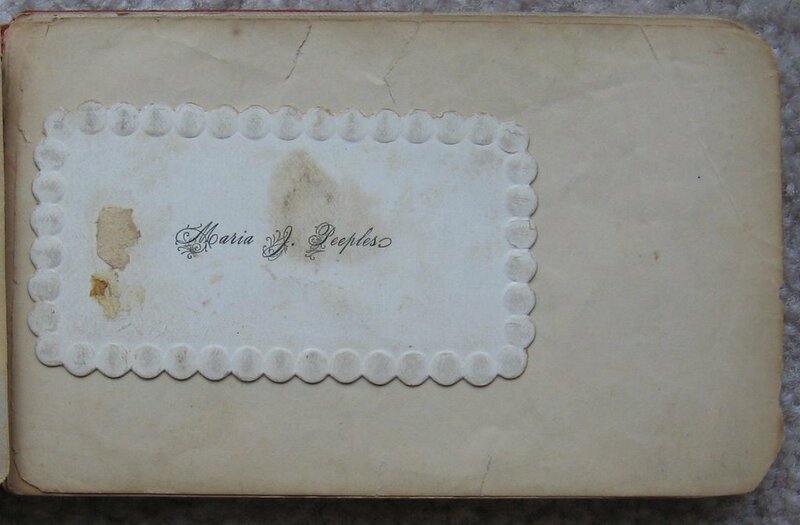 Earlier in the week I wrote about the lovely autograph book of Maria Jane Peeples of Gloucester, Mass. from the 1890s. 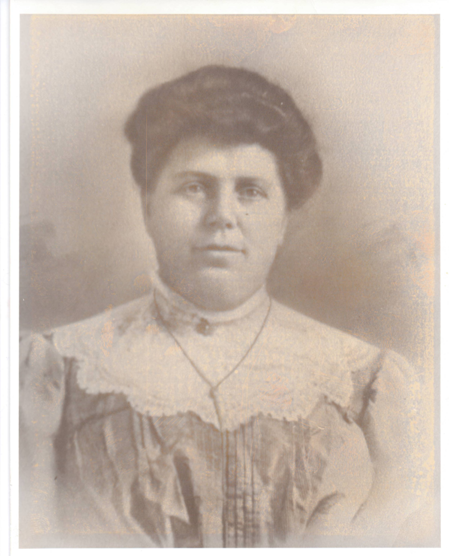 With a few extra pairs of eyes on the blog, let’s see if anyone can help solve a related mystery pertaining to Maria. Based upon her autograph book and stories passed down in the family, it is obvious that Maria had a wealth of friends and family from the North Shore of Massachusetts, friends who worked or lived in and around Boston, family from Nova Scotia and Hartford, Conn., and beyond. 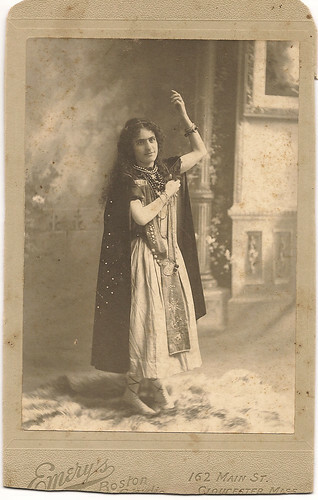 She was quite the social gal, and in addition to her autograph book, she also collected an incredible collection of photographs of her friends and loved ones. Unfortunately, she did not label any of these photographs. Last year, I had an excellent conversation with Tim Salls, the archivist at NEHGS, about the inherent problems with unidentified photographs. As the curator for the Hanson Historical Society, I had recently organized their photograph collection, which had a selection of unlabeled images. He recommended uploading the collection to Flickr and harnessed the power of crowdsourcing to help identify unlabeled people, places, and events. And what a recommendation!! 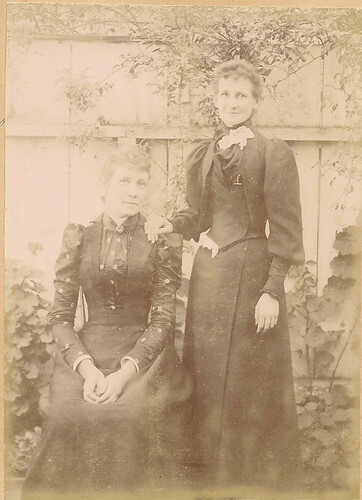 Over the past year, HHS’s photograph collection at Flickr has generated interest and input from numerous residents, former residents, and descendants of Hansonites who have recognized photographs and generously helped to identify images. It has been a wonderful way to connect with the community. 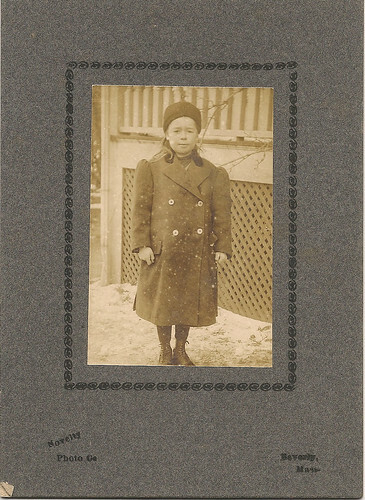 Around the same time, I was motivated to purchase archival supplies and organize the incredible collection of documents, photographs, and artifacts of family history in my possession. In discussing the project with other family members, a few very generously gave me some items to add to the collection for preservation, including this unidentified photograph collection of Maria Jane (Peeples) Publicover from my aunt Maria. Once placed in archival folders, within archival boxes, labeled and organized, I felt these images would be better served digitized and put out there on the web – where perhaps descendants of Maria’s many friends, local historians, or historic photo buffs might be able to recognize the individuals in these images – and maybe give a face to the signatures from her autograph book! The majority of images have a photographer’s name and address, so I have organized the images here by town, with the completely unidentified images at the end. Included are transcriptions of the photographer’s labels. [For additional details and the scanned backs of several of the portraits, see the collection on Flickr]. 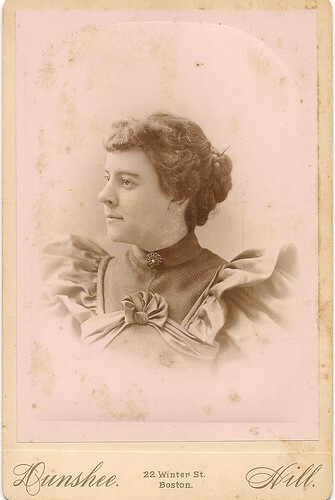 Today’s post will feature her friends and family beyond Gloucester – next week’s will feature all of her Gloucester, Mass. photographs. USA – Massachusetts – Beverly, Mass. 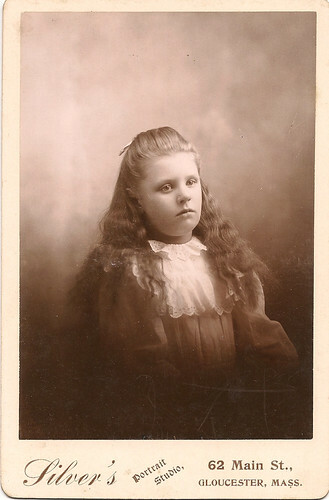 Unidentified Girl, Beverly, Mass. Photographer’s Label: Novelty Photo Co., Beverly, Mass. USA – Massachusetts – Boston, Mass. 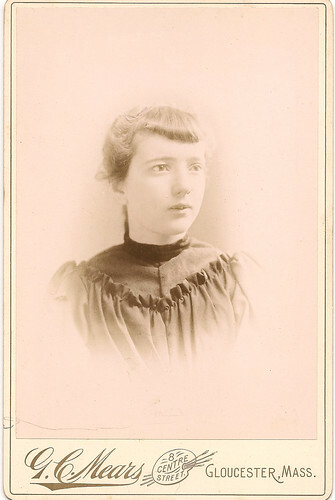 Unidentified Woman, Boston, Mass. Photographer’s Label: Ritz Art Studio, 49 Temple Place, Boston, Mass. USA – Massachusetts – Newburyport, Mass. 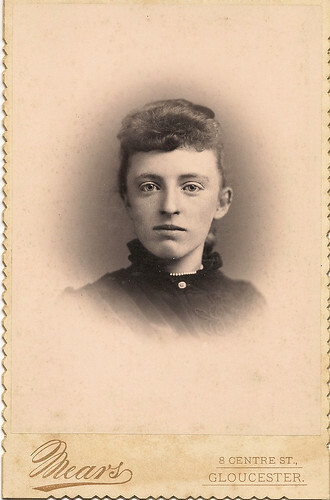 Unidentified Woman, Newburyport, Mass. Photographer’s Label: Frazier, Newburyport, Mass. USA – Massachusetts – Salem, Mass. 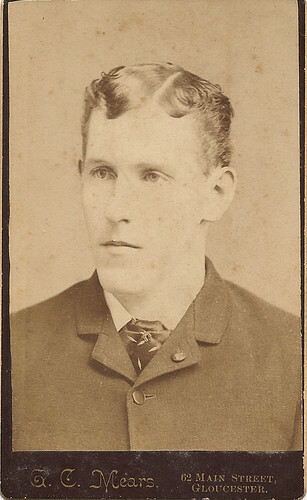 Unidentified Man, Salem, Mass. Photographer’s Label: Haswell, Salem, Mass. 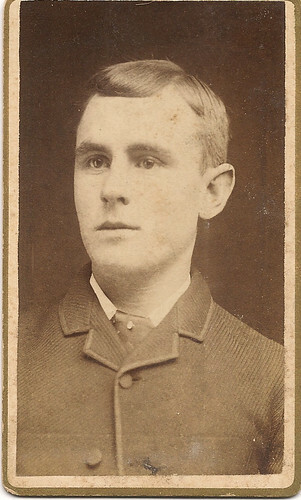 Unidentified Man (Willard B. Publicover? ), Salem, Mass. 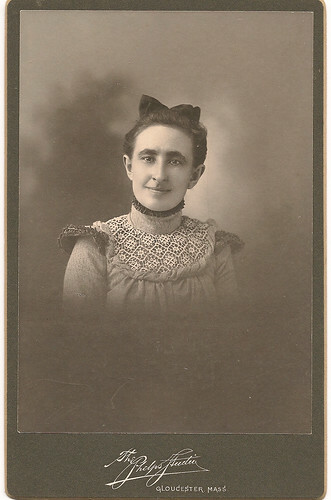 Photographer’s Label: Haswell, Salem, Mass. 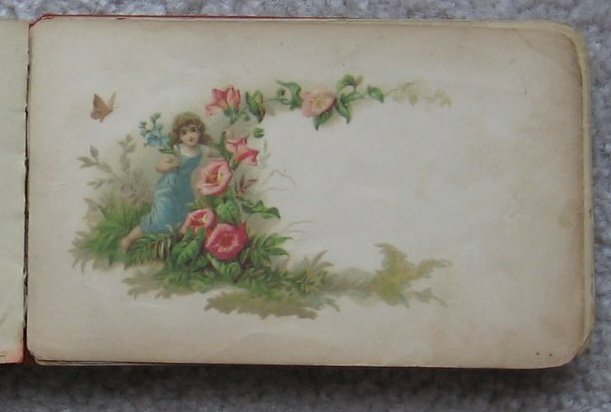 Handwritten label (on back): W.B.P. 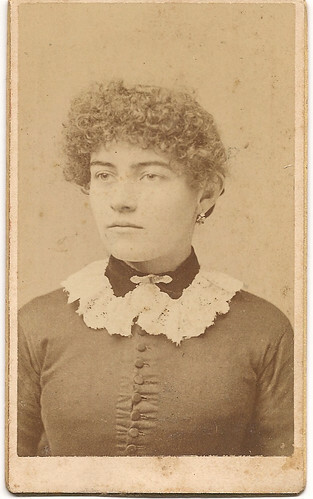 Unidentified Woman, Salem, Mass., c. 1884. Photographer’s Label (back): T& P, Taylor & Preston, 188 Essex St., Salem, Mass., 1884. USA – Massachusetts – West Somerville, Mass. or Old Orchard, Me. 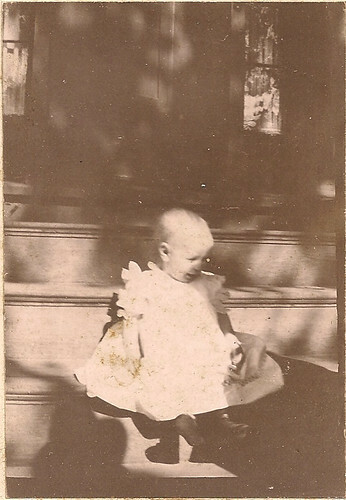 Unidentified Child, West Somerville, Mass. or Old Orchard, Me. Photographer’s Label: Whittemore’s Studio, West Somerville, Mass. & Old Orchard, Me. USA – Connecticut – Hartford, Conn.
USA – Illinois – Chicago, Ill.
USA – New Hampshire – Milford, N.H. 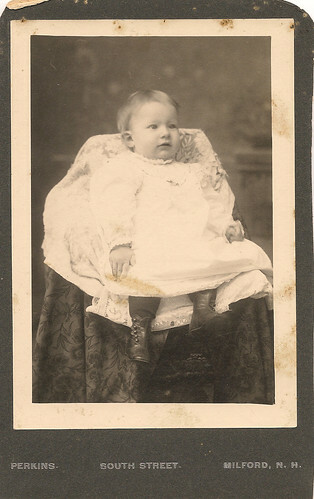 Unidentified Child, Milford, N.H. Photographer’s Label: Perkins, South Street, Milford, N.H.
USA – New York – Lima, N.Y. 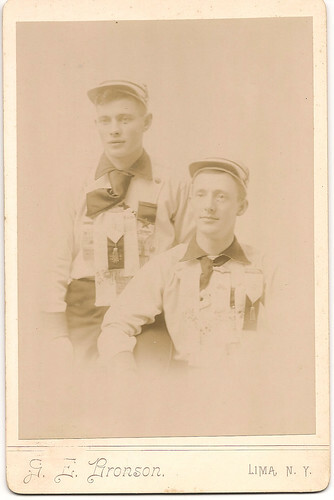 Unidentified Men, Lima, N.Y. Photographer’s Label: G. E. Bronson, Lima, N.Y.
USA – New York – Manhattan, N.Y.
Maria Jane (Peeples) Publicover, Beverly Farms, Mass. Courtesy of Maria McClellan. Maria Jane Peeples (nicknamed “Rida” by her family) was the daughter of Thomas Peeples and Jane Rogers of Nova Scotia. 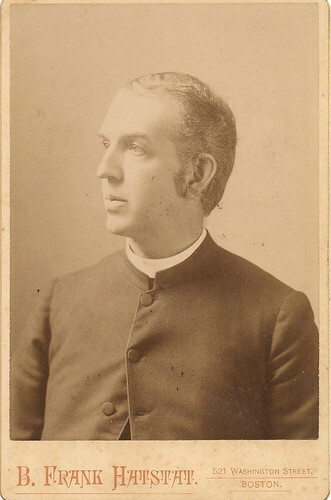 She married Willard Binnie Publicover at St. John’s Episcopal Church, Gloucester, Essex, Mass., 24 January 1894, by Rev. 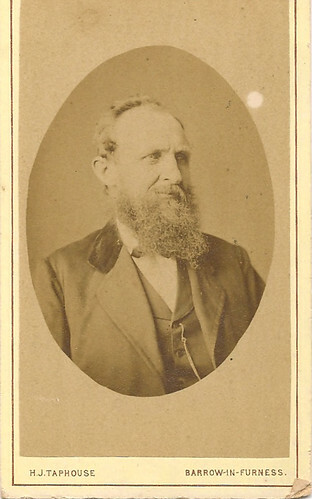 John Alvey Mills. 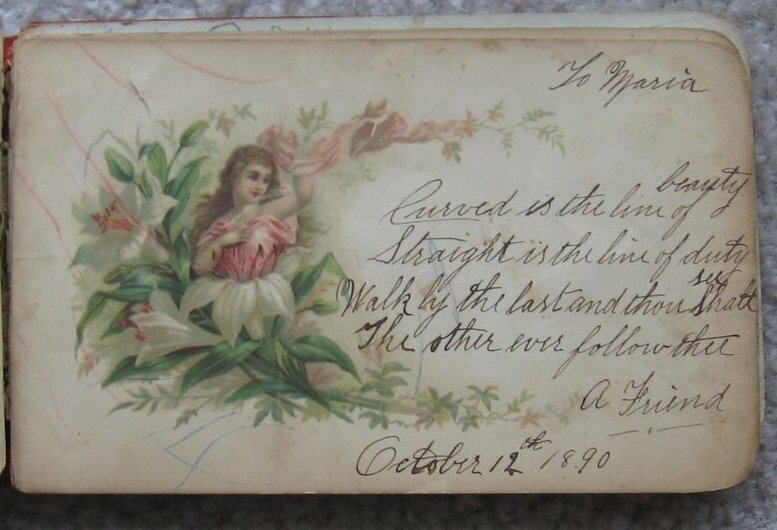 From 1889-1900, she kept an autograph book in which her friends, family members – and a presumably courting Willard B. Publicover (he has several signatures and notes over the years) – signed their names and wrote her notes and poems – funny, poignant, sage, or straight to the point. 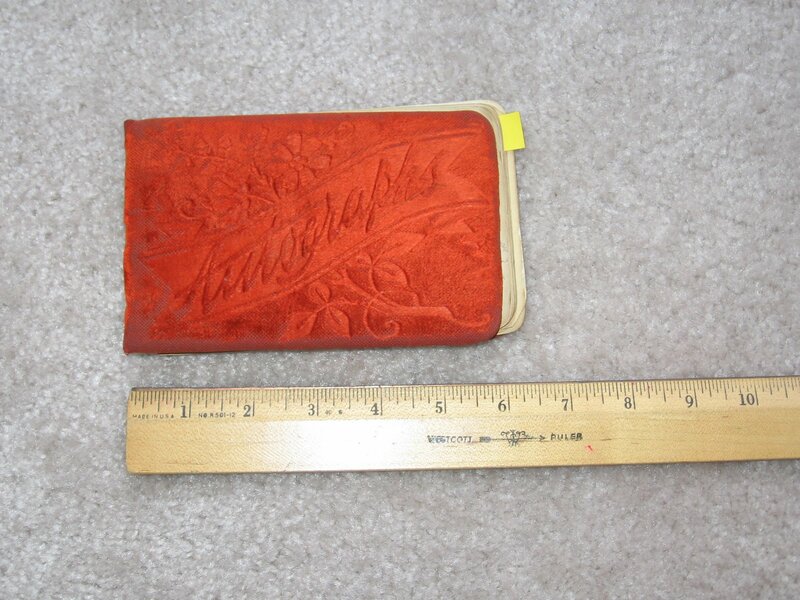 She began keeping the autograph book while a resident of Gloucester, Mass. – several of her relatives moved to Hartford, Conn., as the autograph book shows. Below are photographs of the individual pages of the book, accompanied by transcriptions. I wish you joy, I wish you peace, I wish your friends may still increase and may you ever remain the same unchanged in all except the name. When far from you I go, will you one thought on me bestow. And let your memory often past In good times had in Gloucester, Mass. 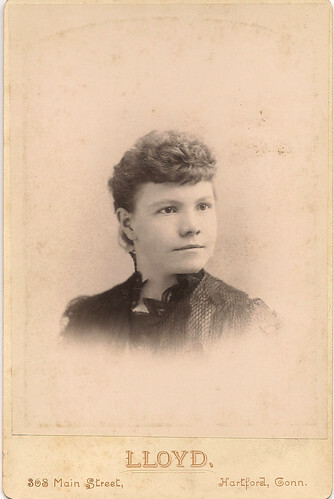 Jennie M Campbell Autograph, 3 November 1891, Gloucester Mass. 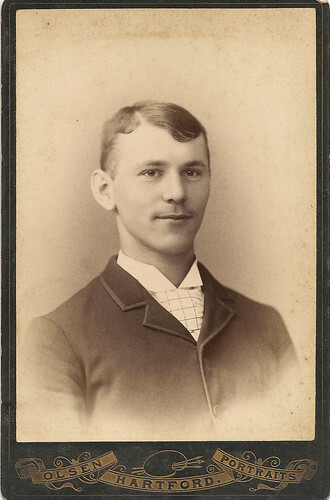 Eldridge Peeples Autograph, 11 October 1891, Hartford, Conn.
And when you can no longer bite, think of me if you think it rite. 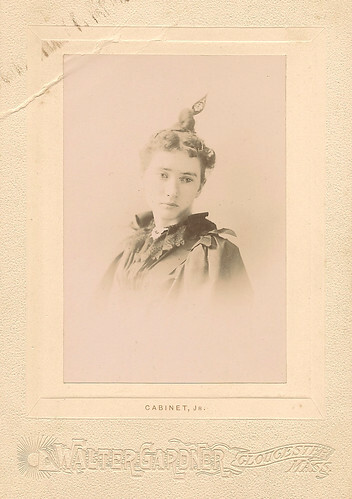 Madie A. Campbell Autograph, 3 November 1891, Gloucester, Mass. 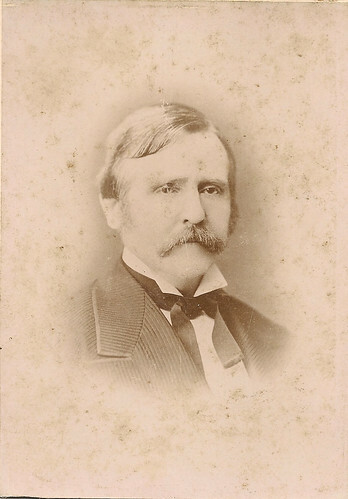 Charles A. Hayden Autograph, 13 November 1889, Gloucester, Mass. Embalming your bygones in sorrow. Lewis R. Martin, 55 Elm St., Charlestown, Mass. 32-34 Brattle Sq. Cambridge, Mass. 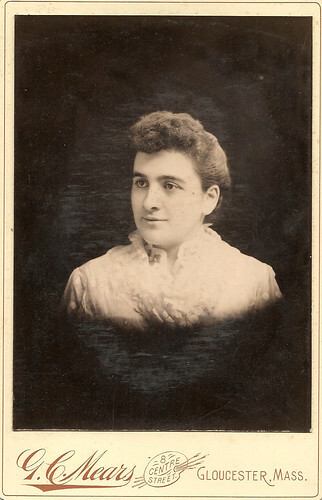 Mrs. W. Engelhard Autograph, 12 October 1891, Hartford, Conn. When you are supping tea with B. 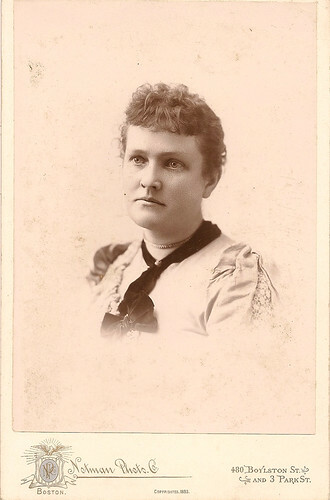 Think of your poor old sister E.
Mrs. Lizzie Adams Autograph, 27 September 1889, Gloucester, Mass. 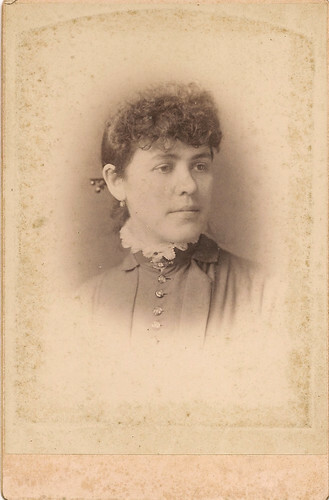 Helena M. Gilbert Autograph, Gloucester, Mass. 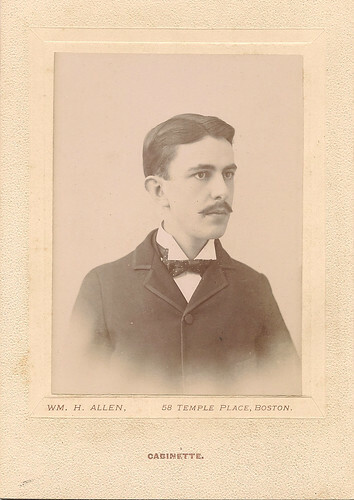 B. Phalen Autograph, 26 September 1889, Gloucester, Mass. 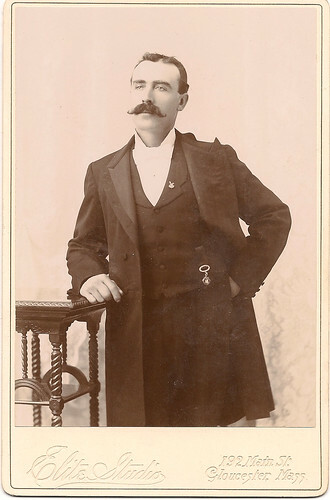 J. P. Mac Innis Autograph, 17 August 1891, Gloucester, Mass. 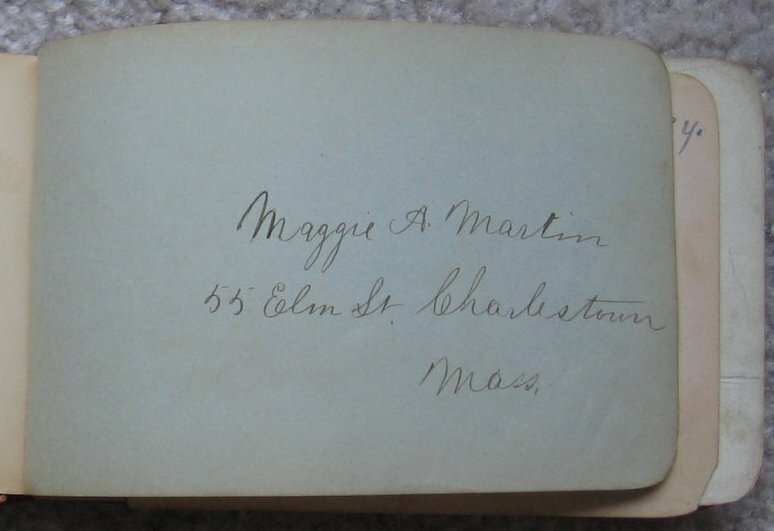 Maggie A. Martin Autograph, Charlestown, Mass. 55 Elm St., Charlestown, Mass. 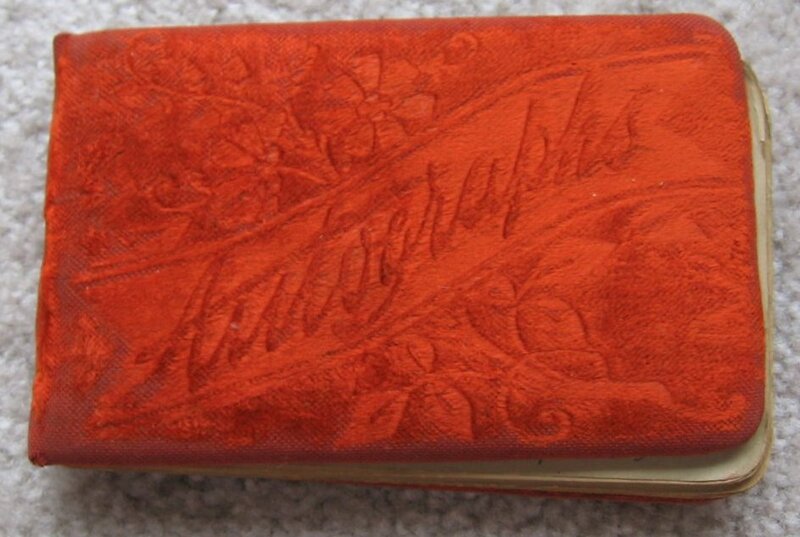 Autograph books are a lovely way to capture a better understanding of the community around one person’s life, which can often be difficult to reconstruct when pursuing genealogical research. If anyone out there has additional details or stories about the individuals who signed this autograph book, please feel free to share! 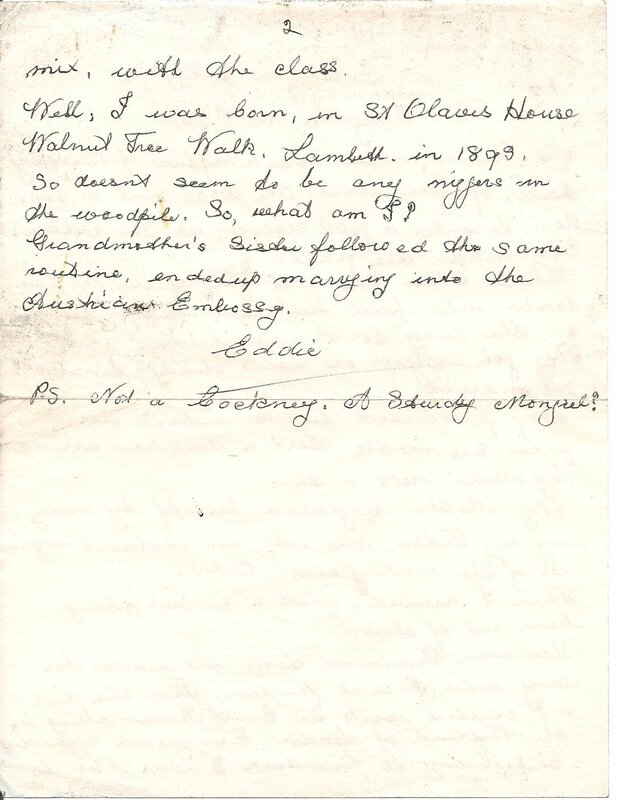 Below is a transcription of the letter, with names and dates of family members added in italics and brackets for clarification. 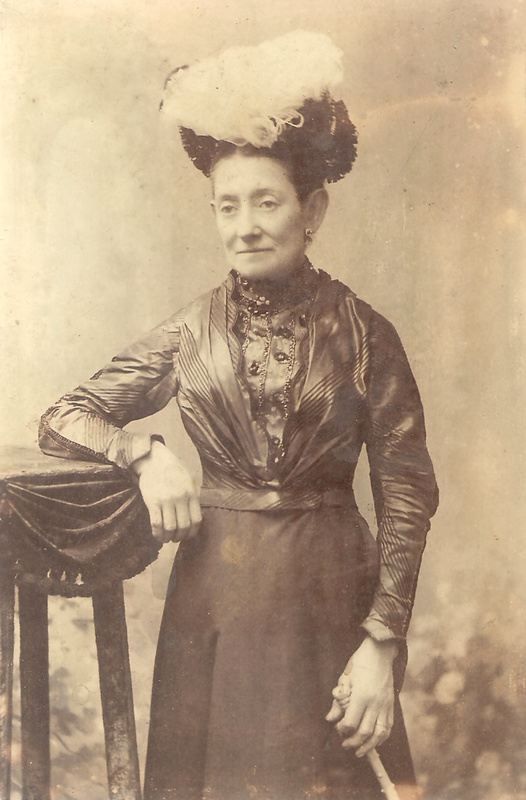 My Grandmother [Rachel Scarrott, b. 25 Sep 1839, Birmingham, Warwickshire, England, d. 20 January 1908, Lambeth, England] was a native of Birmingham, of good class. She was sent to London, to enter a good service, as the custom. She made the grade. Whilst there she met grandfather [Joseph Scarrott, b. 15 January 1844, Birmingham, d. 17 February 1886, London, England], a Londoner who had his own lamp business on the way to London bridge. They got engaged, or “Went steady”, finally got married [at Lambeth, 24 April 1869]. They produced twins, which died after six months. 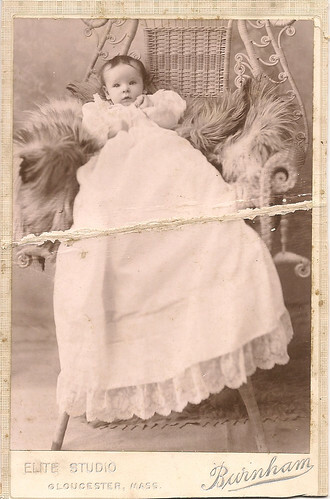 Next a daughter arrived, ‘my mother’ [Edith Jane Scarrott, b. 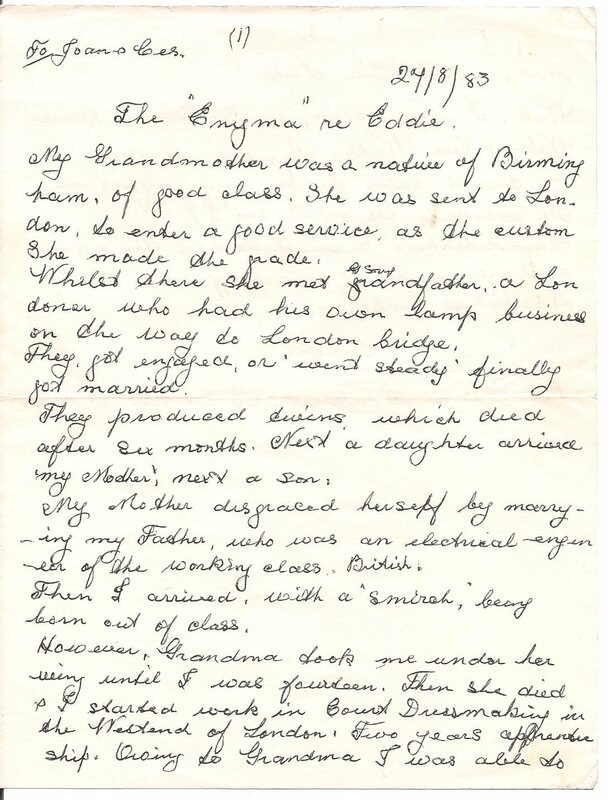 15 April 1874, Lambeth], next a son [Henry Percy Scarrott, b. 29 June 1877]. However, Grandma [Rachel (Scarrott) Scarrott] took me under her wing until I was fourteen. Then she died and I started work in Court dressmaking in the West end of London. Two years apprenticeship. Owing to Grandma I was able to mix with the class. Well, I was born in St. Olaves House, Walnut Tree Walk, Lambeth in 1893. So doesn’t seem to be any n-s in the woodpile. So what am I? 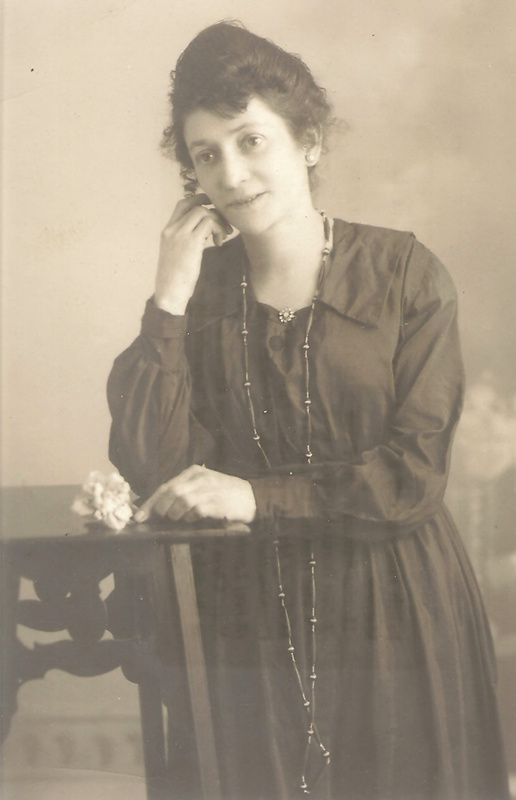 Grandmother’s sister followed the same routine, ended up marrying into the Austrian Embassy. PS Not a Cockney. A sturdy mongrel? 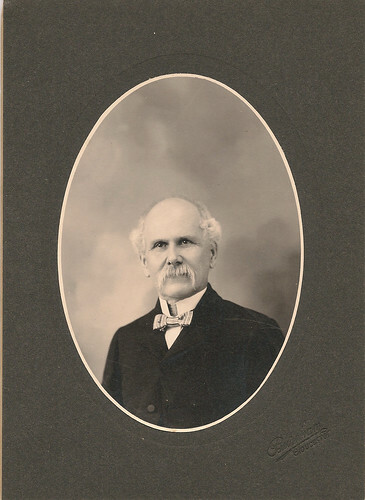 Barnabas Everson of South Hanson, Plymouth County, Massachusetts (4 January 1825 – 22 February 1896) was a prominent citizen of the town, a wealthy businessman with major landholdings. His parents and grandparents were from the town of Hanson (or the part of Pembroke which became Hanson in 1820), and his children and grandchildren were born and raised in the town. It wasn’t until a recent inspection of the record of his marriage to the young widow Deborah (Bates) Howland (4 September 1819 – 16 April 1892), recorded at Hanson, that I noticed that their marriage was performed by an unexpected person: the mayor of New York City. [GROOM] Name: Barnabas Everson; Place of Nativity: Mass. ; Age (Years, Months, Days): 23 years; Residence: Mass. Barnabas generated an abundance of records throughout the course of his lifetime, with no obvious connections to Manhattan. Anyone know of a historical trend of couples traveling to Manhattan from rural New England towns to be wed?